Receiving a conviction for a criminal offense is more detrimental in Florida than most other states. 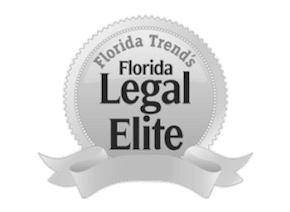 Although the facts that you face a lengthy prison sentence, hefty fines, and limitations upon release remain true throughout the U.S., Florida is one of three states that permanently deprive individuals of their citizenship. As a convicted felon in Florida, you lose your right to vote, hold public office, and serve on a jury. This is in addition to the extreme limitations set on your ability to travel and inability to bear arms. You may have finally been released from prison, but with such restrictions placed on your life, you may not feel like much of a free person. If you wish to have your civil rights restored, it is in your best interest to seek the legal counsel of an experienced attorney. The Orlando civil rights restoration attorneys at The Umansky Law Firm thoroughly understand how living without civil rights may feel. As a former prisoner, you’re ready to finally move on with your life and progress as a law-abiding citizen, but that can be difficult to do when the criminal justice system has stripped away your legal freedoms. Trust an Orlando civil rights restoration attorney to analyze the facts of your case and pursue the most appropriate course of action. The ability to restore the rights of a convicted felon in Florida lies with the Board of Executive Clemency and the governor. Two cabinet members and the governor must sign off on the executive order for an individual’s rights to be restored. The terms of executive clemency were revised in March of 2011 to separate the requirements to restore civil rights into two categories. Both of which have mandatory waiting periods that differ based on the severity of the crime the individual was sentenced for committing. Those who meet the requirements set for their specific crime have the freedom to acquire legal representation to pursue civil rights restoration. The Orlando civil rights restoration lawyers at The Umansky Law Firm are here to go to work for you. Our attorneys are well-versed in appellate law and understand what it takes to have a successful appeal. Trust us to help get you back to leading a normal life. Contact us today at 407-228-3838 for a free case evaluation.